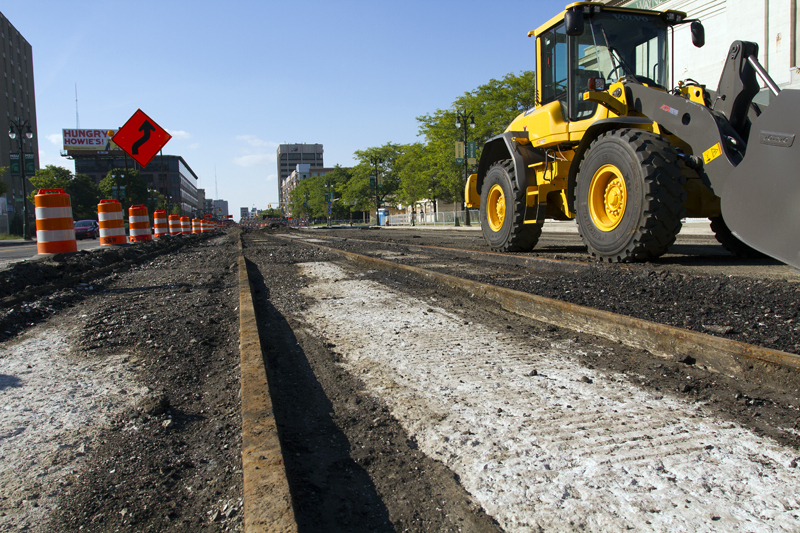 Crews preparing Woodward Avenue for the M-1 Rail unearthed the city’s old streetcar rails. 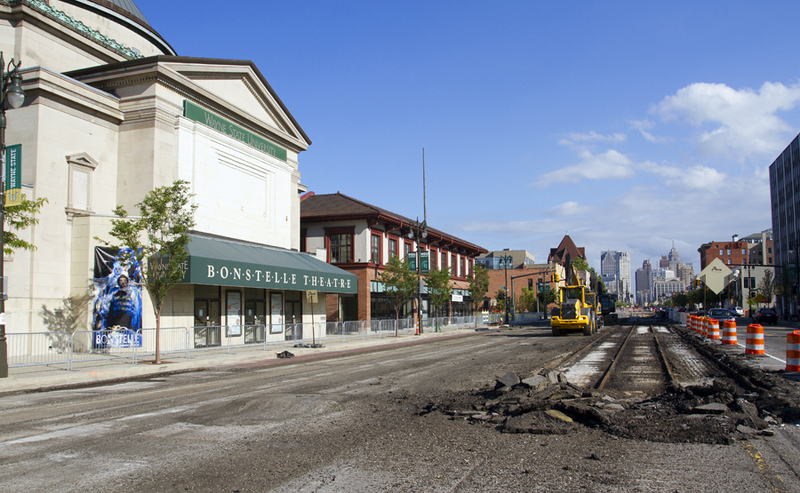 The twin rails have been buried beneath the road for decades after the streetcar system ended service in 1956 to make way for buses. Electric-powered streetcars had operated since the 1890s, when they replaced horse-drawn railcars. Now the city is getting ready to bring back streetcars with the M-1 Rail, which will travel 3.3 miles from Larned Street to West Grand Boulevard. The new system is expected to be complete by late 2016. 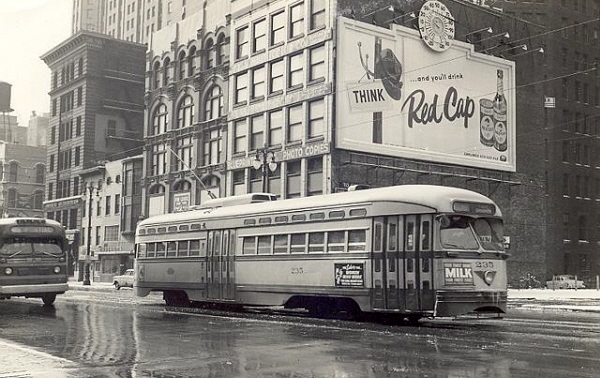 Detroit used to have an extensive streetcar system, it went all over. Don’t know why they ended it, but it’s ironic they’re now building the same thing. Why not use the old tracks then?From the looks of it,all they need to do is run the power lines over them and put the trolley cars on them!It would save them a lot of money if they did!When the city was redoing Charlevoix about 5 years ago it looked like they could have ran the street cars on them.The bricks and tracks looked like they had just been put in. 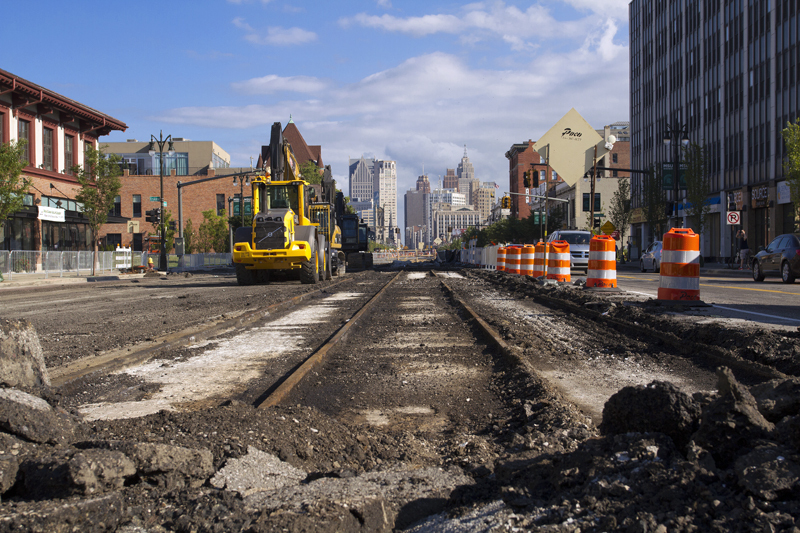 !I imagine that it is like that all around the City.They just paved over the tracks instead of pulling them up! 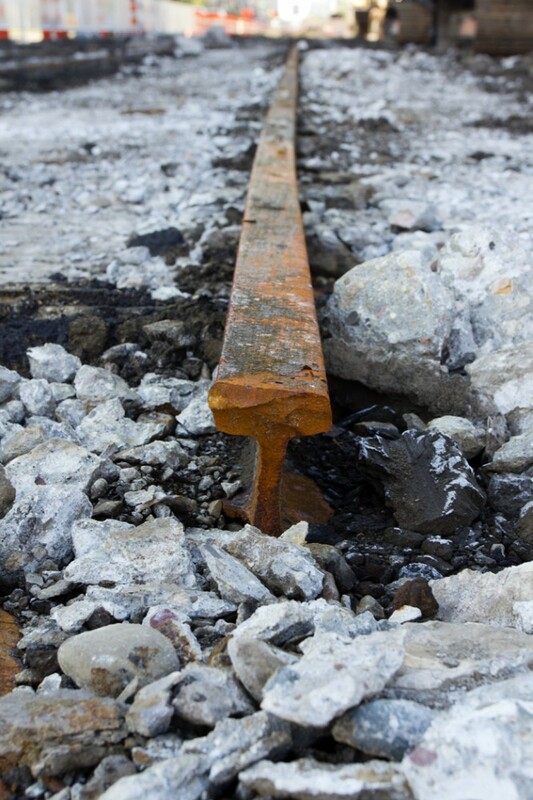 It’s amazing how they just paved right over the old tracks. 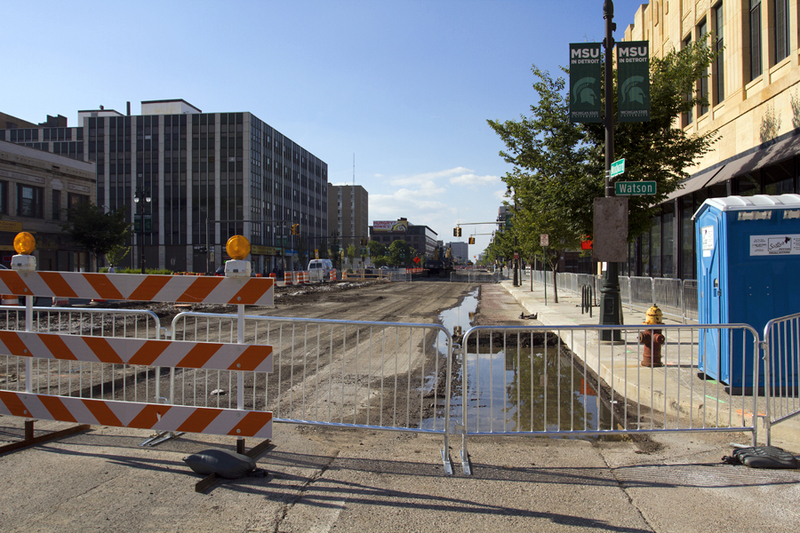 Is that why Woodward is one the worst road surfaces downtown all the way out passed the blvd.. This is absolutely awesome. Thank you for sharing this with us.